Last time I got my hair coloured (which was way back in December....I really need to go back!) I also bought a blonde shampoo, conditioner and mask. I had never heard of the brand before, but trusted the hairdresser and her recommendation. Luckily she knew her stuff and I LOVE the shampoo (I'm yet to try out the conditioner and mask). According to the directions you use it once to clean the hair, and then shampoo a second time but leave it on for 3 minutes to banish the brassiness. I was a bit hesitant the first time I used it, because I have found some purple toning shampoos have actually turned my hair slightly purple. So for the first use I only used it once. Then on the second time I used it twice, but only kept it on for a minute both washes. On the third time I felt much more confident and left it on for a few more minutes. Luckily I haven't had any issues with it turning my hair a purpley tinge! I love that it's free of Sulphates and Sodium Chloride. 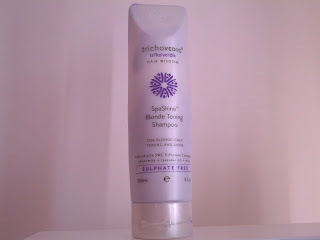 It contains chamomile, which is great for bringing out blonde and lavender which is for relaxing and soothing the scalp. To strengthen the hair it contains a mixture of soy, wheat and silk proteins. The company is Australian owned and made and was created by hairdresser John Cook. 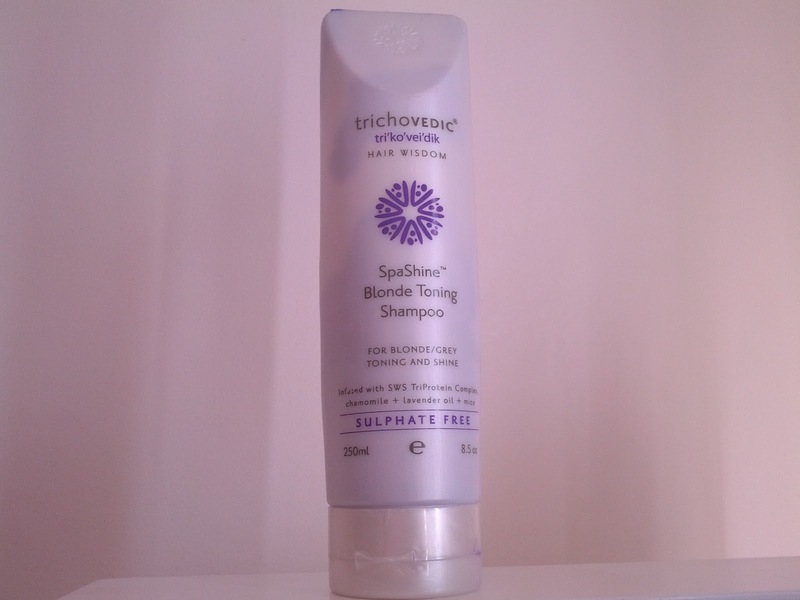 He is a trichologist so the products are fantastic for anyone that has scalp issues. They also don't test on animals. I love that it's soft on my hair and doesn't dry it out. It also helps to bring out the blonde and take away any brassiness I have. My hair feels so clean, but also healthy after washing with it. I can't wait to try out the mask and conditioner once my current products have run out. If you're interested in the products you can see their range here.